Dont simply take your flowers home and plop them in a vase. Theyll last days longereven up to a week or moreif you give them a little extra care. 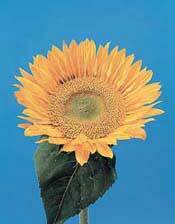 Sunbeam is a unique variety because it is one of only a few pollenless sunflowers. Others are Sun Bright, Moonbright, Sunrich Lemon and Sunrich Orange. 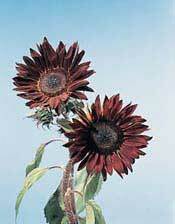 Prado Red, with its dark center and reddish-brown petals, is about 4 inches in diameter. Other varieties with these rich, deep colors are Floristan, Autumn Beauty and Evening Sun. Teddy Bear is another novel variety. 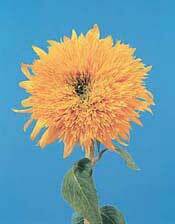 It is a dwarf, fully double sunflower with a profusion of orange petals that gives it a somewhat fuzzy appearance. Reprinted by permission from Floral Retailing magazine.